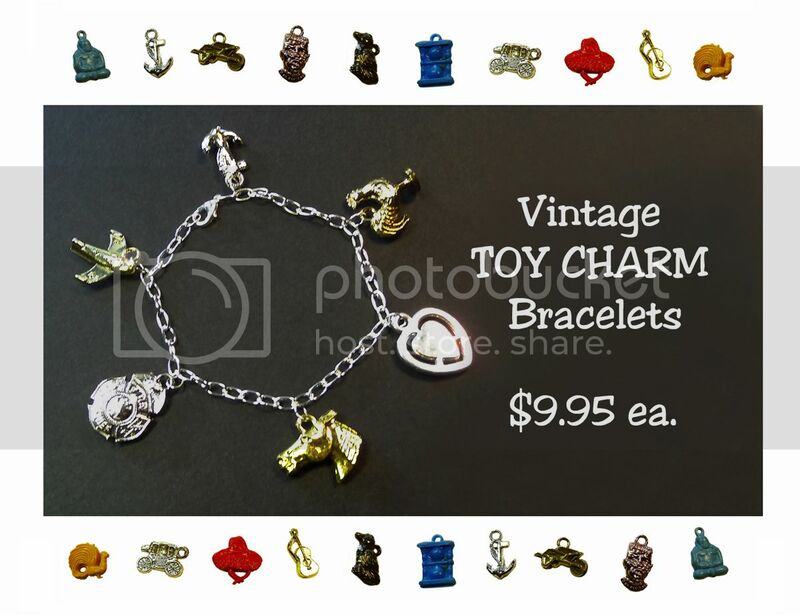 Offered here are vintage TOY CHARMS BRACELETS. These vintage charms were an estate sale find that were lovingly crafted into bracelets to make unique, new one-of-a-kind treasures. We also have individual charms for sale – come on in and find your perfect fit! Categories: IN-STORE ONLY, TOYS, CHARACTER, MISC. Tags: collectibles, buggle gum charms, charm bracelet, Crackerjack charms, toy charms, Pop Culture, toys. Be the first to review “Vintage TOY CHARM BRACELETS (1960’s)” Click here to cancel reply.